When I was in third grade, I loved math. I’d race through logic puzzles and math worksheets because it was a matter of pride to beat the boys. That kind of blatant, in-your-face, “I’m smart and it’s okay” attitude is not so common these days. In fact, it’s pretty rare – especially in girls. What I had that other third-grade girls didn’t, was a place where I could be smart without the pressure to fit in. Where it was cool to raise your hand in class, or win every round of Brainquest (remember those?). I had Seabury, a non-profit independent school for gifted children in Tacoma, Wash. I graduated from Seabury School in eighth grade, and went on to public high school, the University of Washington and a stint as a journalist in Moscow, Idaho. But last fall I decided to throw my life plans to the wind and move back to Tacoma to work at my old elementary school. Why? Because I love this place. I am passionate about what we do here – providing a safe place for academically gifted students to learn and explore without having to fear being misunderstood, under whelmed or left out. I’m in charge of new and traditional media relations, and I love what I do. As a journalist, I always said I could only become a flak if it was for an organization or a cause that I was truly passionate about. Well this is it. I run our school’s Twitter and Facebook pages, along with a personal Twitter I use for networking in Tacoma and the South Sound. I am our resident blog guru and help teachers design, tweak and update classroom blogs. I have several personal blogs as well, but everything I do comes back to wanting to spread the word far and wide so we can find every kid who needs us. It’s not so cheap to run a school – teachers are paid for through tuition, but tuition also pays for a huge amount of financial aid. Need and aid are increasing every year, and lately it’s hard to find an extra dime to spend. That’s why social media has been so valuable for us. Suddenly there’s a way to network with other gifted educators and advocates for free every Friday (through #gtchat), sharing resources and tricks of the trade. There’s definitely not money in our budget for another conference this year, but I can’t stop thinking about all the new tools and tricks that’ll be ripe for the learning. Send me Tungle, you’re my only hope. And really, who else can promise you an envelope of adorable thank-you letters from a school of adorable gifted children? Categories: Social Media, Tacoma | Tags: blogging, contests, education, gifted, Seabury, social media | Permalink. A re-post from the Seabury School French blog — sometimes my life is made up of scanning, erasing and scrambling numbers for Dot-to-dots. By now, we all know that French is fun. (Hopefully) your students come home each week with stories of the new games we play in class. Raise your hand if you’ve heard about “the candy game?” Or le jeu des bonbons? Students may think the most memorable aspect of the ever-popular Jelly Belly taste-test game is the fact that they’re eating Jelly Bellys in class — but you can bet the next time Mme. O or Mlle. H says la fraise, it’s the taste of that strawberry bonbon that the students are thinking of. As Mme. O says, that’s the difference between learning something, and picking it up or absorbing it. On the surface a game is a game with French sprinkled in — in reality, it is so much more than that. 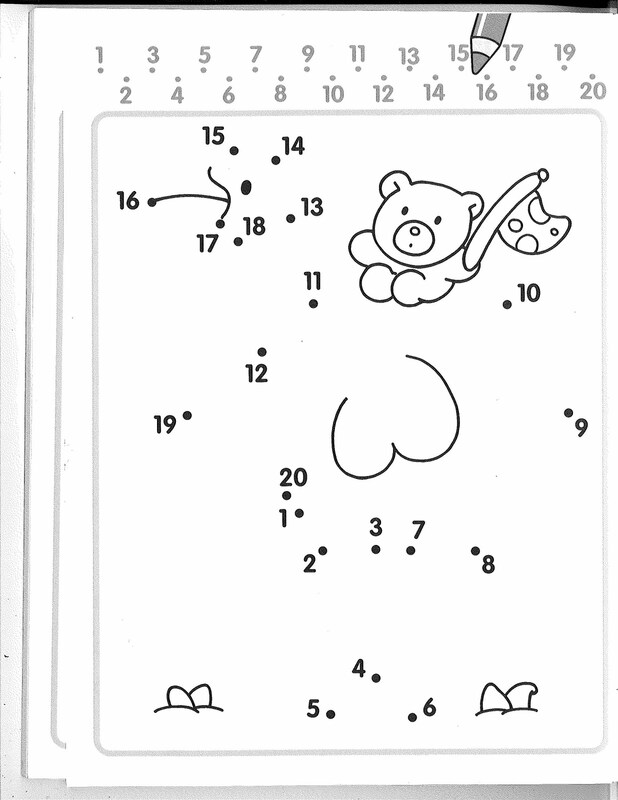 Today Les Etoiles Super will have fun with a “Dot-to-dot.” But there are a few things that need to be done before we can enjoy this simplest of number games. First, the original Dot-to-dots have to be scanned to a computer. Then each number is carefully erased. The numbers (1 to 20) are scrambled and typed back in. And the Dot-to-dots are finally ready. We begin after careful instructions that this is a different kind of Dot-to-dot. You can not simply trace from 1 to 2 to 3 — you must wait for Madame or Mademoiselle’s instructions to trace from cinq to vingt to dix-huit, to onze. The Dot-to-dotting is just as fun as before, but we’ve added constant repetition of les nombres en français. It’s the Dot-to-dot (and beautiful finished picture) that is consciously remembered — but those numbers have a way of sticking in a brain, especially if they work their way in during something FUN! Categories: Tacoma | Tags: education, gifted, Seabury | Permalink. May 30–Magaly Rodriguez lives in Minnesota and occasionally travels to the University of Idaho to serve as an independent consultant and “Chief Inspiration Officer.” The UI pays her $12,500 a month for her services, according to public records obtained by the Daily News. Rodriguez is held on retainer by the UI, on a nine-month appointment that expires in June. The contract totals $112,500 and was signed during the same academic year that state holdbacks forced the UI to cut about $3.8 million from its budget. She spends anywhere from zero to 10 days in Moscow per month, according to the contract between Rodriguez and the UI. Deans and other administrators say the retainer with Rodriguez and consulting company Volentum is well worth the money spent, but the faculty who have participated in their workshops tell a different story. While one dean praised the calming effect of the sessions, a professor likened them to “being sedated.” Provost Doug Baker said Rodriguez’s consulting is one tool in adopting the university’s strategic plan. He said she is “absolutely” worth the money. “She’s helping us reshape our culture,” Baker said. “If you want to know kind of really what I do, I’m interested in building communities,” she said in a phone interview Friday. College of Science Dean Scott Wood called on Volentum’s services this February, when the university was considering the elimination of its undergraduate degrees in physics. Rodriguez stepped in to facilitate a two-day workshop that ultimately helped save the program. “We obviously got to a resolution,” Wood said. “I’m not convinced we would have gotten there without Magaly’s help.” He said he’d bring her back “in a heartbeat.” But physics professor Francesca Sammarruca wrote in an e-mail that she felt the workshop focused mainly on sharing feelings and resolving personal conflicts, while the problem facing the physics department did not arise from interpersonal conflicts. “When I heard of a workshop with a professional facilitator, I was expecting a roundtable with a neutral moderator (who is knowledgeable in physics, science, and institutional planning). That would have been a format appropriate to the circumstances,” she wrote. Such retainer is “outrageous,” Sammarruca wrote, especially when everyone is being told to save money and resources where they can. Rodriguez’s travel, lodging and meal expenses are paid for by the university, but deducted from the $12,500 she receives monthly. In fact, she takes home more pay during the months when she does not visit the university in person, and consults with administrators via telephone instead. Baker has employed Rodriguez on an independent consulting basis for more than a year. She and Volentum have signed one-time contracts for amounts from $10,000 to $15,500 for workshops that took place prior to the start of her retainer contract. The $12,500 isn’t the sole cost each month. For each workshop there also are refreshments to be purchased and equipment to be rented. One day’s lunch at a workshop for deans and administrators in May 2008 cost the UI $1,078.74. But Baker said it is typical for a university to spend this kind of money on independent consultants. “I think the university brings in that expertise on a variety of things,” he said. “You sometimes want to have (someone) on retainer for a period of time, and you do that to bring expertise that you don’t have.” Baker said he does not yet know whether the contract with Volentum will be renewed after June. That decision will depend on the university’s budgetary capabilities. Patricia Hartzell has been through about three Volentum workshops with the department of microbiology, molecular biology and biochemistry. Many other faculty members interviewed for this story declined to be quoted, citing “fear of retaliation.” Although they did not want their names used, their stories were the same. The consensus among them is Rodriguez is “a lovely person,” and is good at what she does. They question, however, her necessity to the university. Faculty both on and off the record agree on another point: they feel patronized, and said the real issues are being swept under the carpet. “The workshop reminded me of the “I’m OK, you’re OK,” workshops back in the 1970s. It focuses on improved relations, rather than solving problems,” computer science professor Paul Oman wrote in an e-mail. Licensed psychologist W. Rand Walker said the field has advanced significantly farther than the Volentum materials that he has reviewed. “It is reminiscent of techniques that were developed in the 1960s by Carl Rogers and other humanistic psychologists,” said Walker, who has published materials on communication and therapeutic techniques. “It is also the same techniques that are used in ‘Natural Helpers’ programs that are used with junior high school students.” Walker said the role consultants play in a university setting is important and shouldn’t be diminished. “There are legitimate places for this, but you don’t pay $112,000 for it,” he said. The computer science department had its first Volentum workshop in early 2008. Minutes from a faculty meeting last March summarize departmental reactions to the two-day retreat. “While there appeared to be a general consensus that the retreat was beneficial, there were considerable mixed reactions to the specifics of the retreat,” read the minutes. Faculty in numerous departments that have participated in Volentum workshops have said they feel the same way. Baker, however, believes most people have enjoyed and benefitted from their experiences with Rodriguez. Categories: Clips, Writing | Tags: education, Idaho, newspapers, previously published | Permalink.